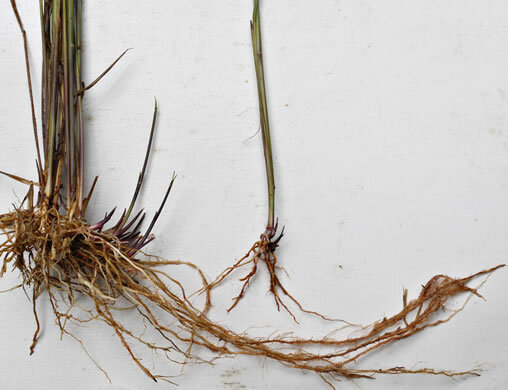 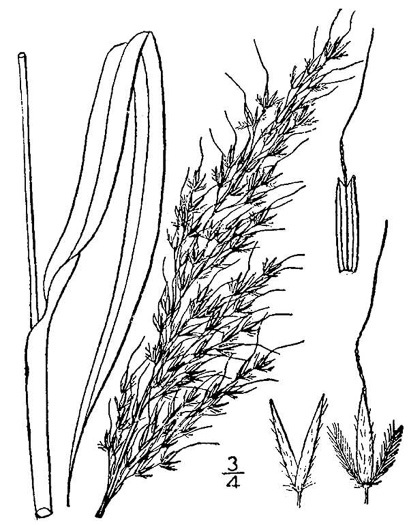 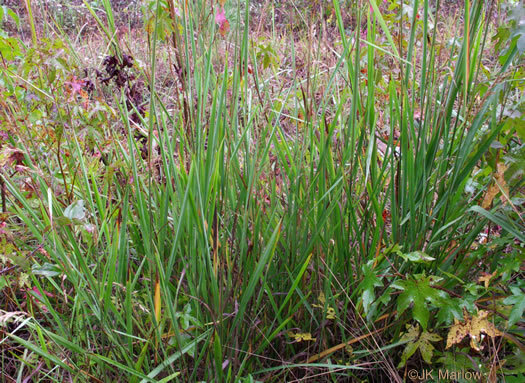 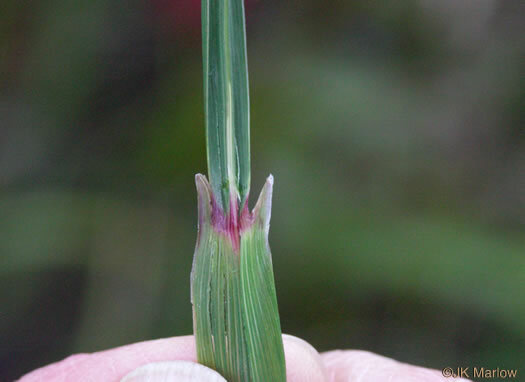 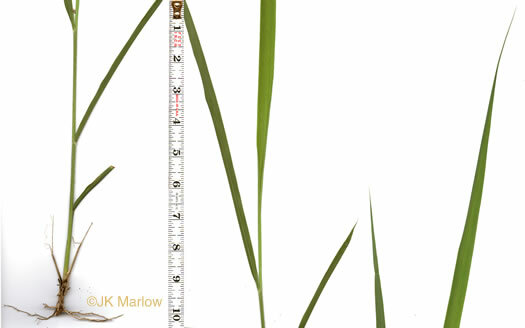 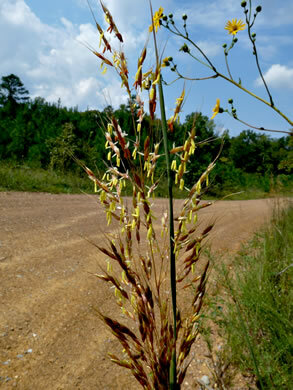 Culms 1-2.5m tall from short, scaly rhizomes, per Manual of the Grasses of the United States. 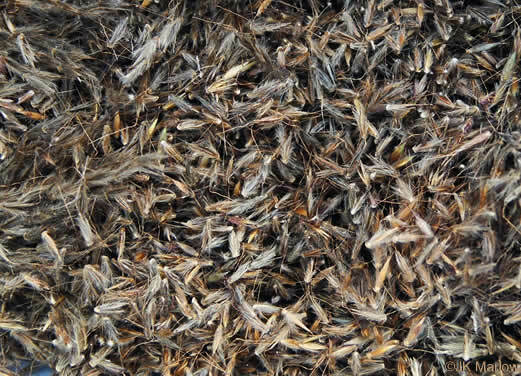 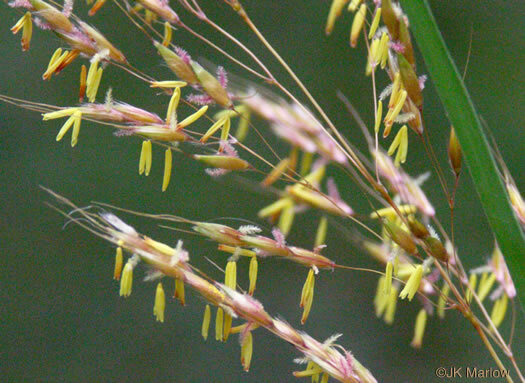 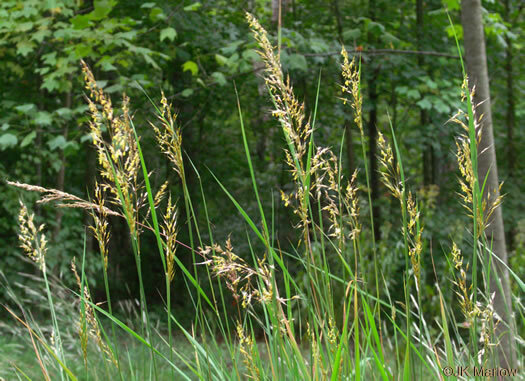 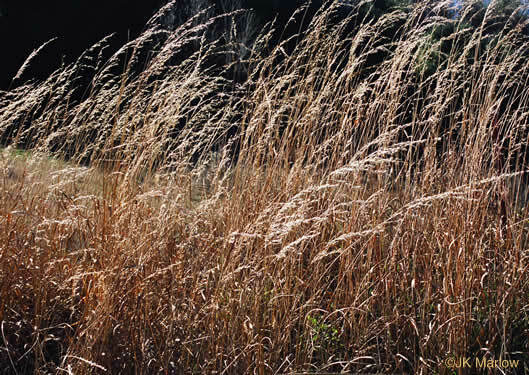 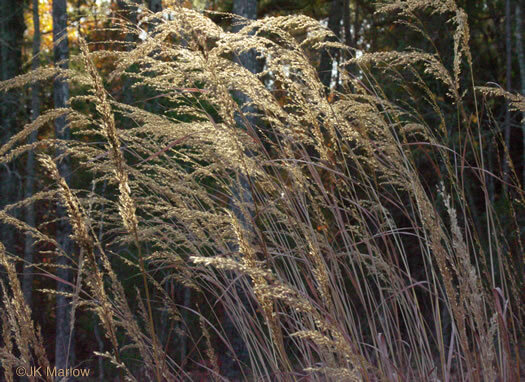 The state native grass of South Carolina. 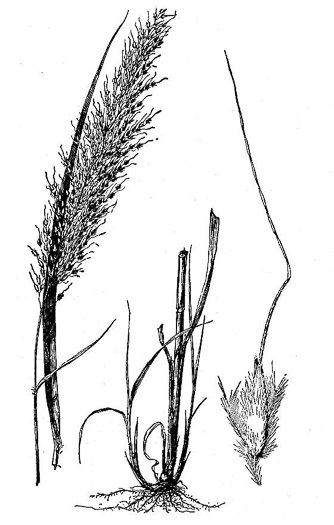 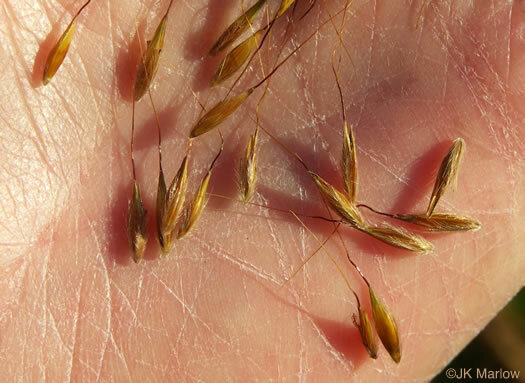 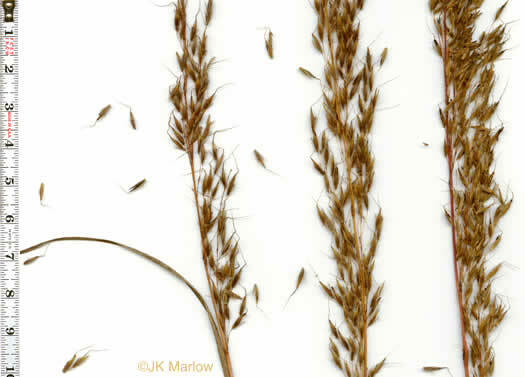 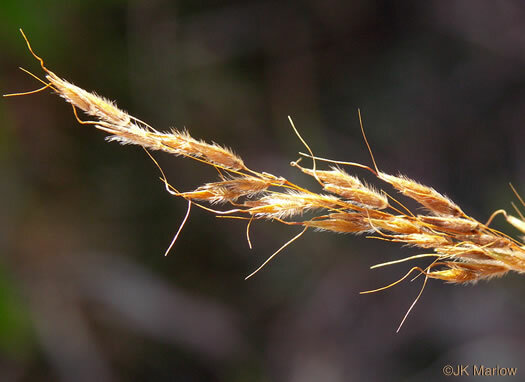 Spikelets 6-8 mm long, lanceolate, hirsute, the awns 10-15 mm long, per Manual of the Grasses of the United States.